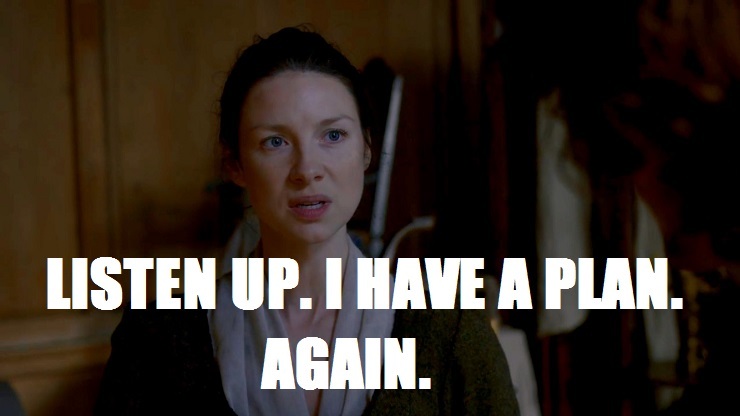 Dearly beloved, we are gathered here today to get through this thing called Droughtlander. The months we will have to suffer through before we can revel in season 3 seem daunting, but let’s not think about that now. Let’s think about it tomorrow. 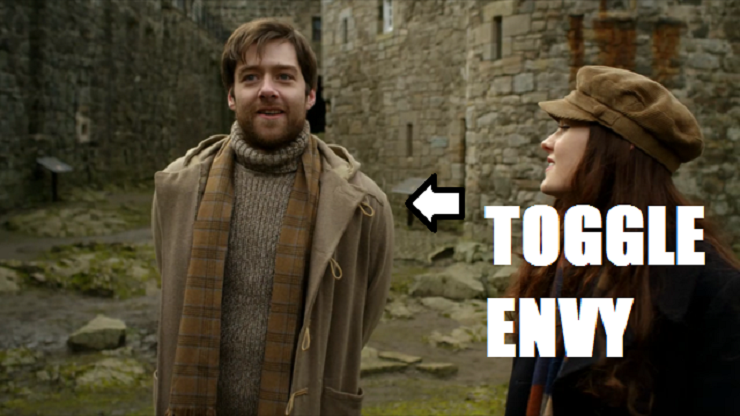 For now, let’s just bask in the glorious 90 minute season 2 finale,“Dragonfly in Amber”–the perfect capping off to the perfect season. 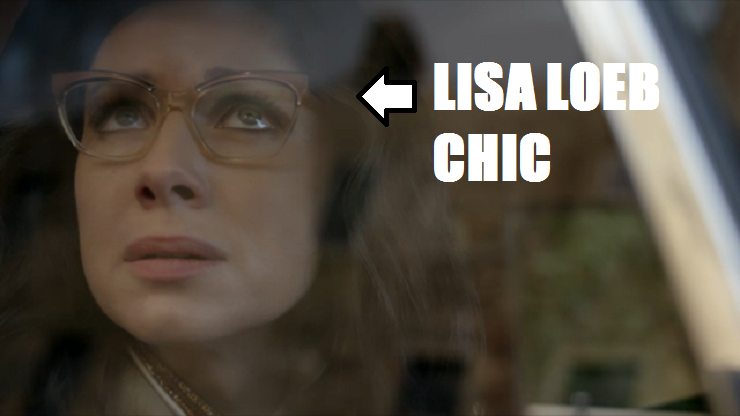 A supersized episode calls for a supersized shout out, so here’s the best of the best (and the tear-jerkingest of the tear-jerking) Outlander Superlatives from episode 213. Roger. And. Bree. Are. Here!!!!! 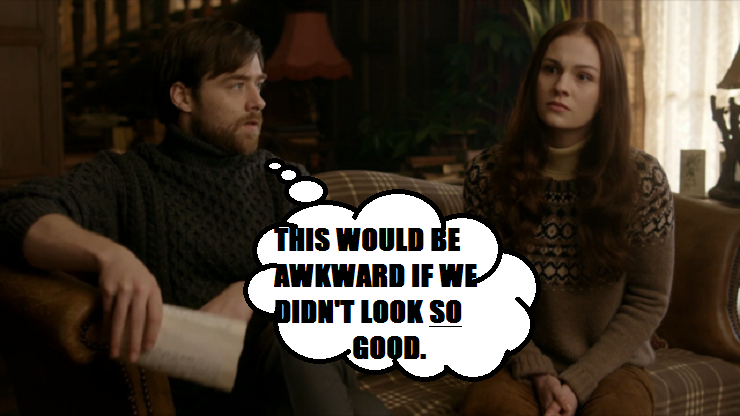 Many of us have been waiting for Roger and Bree’s appearance since we heard that Outlander was going to be a TV show. AND NOW THEY’RE HERE! AND THEY’RE SO ADORABLE! I actually found myself bouncing with glee every time they looked at each other, thinking of all that could lie ahead for these two. I have a feeling it’s a lot. I don’t even know where to begin. 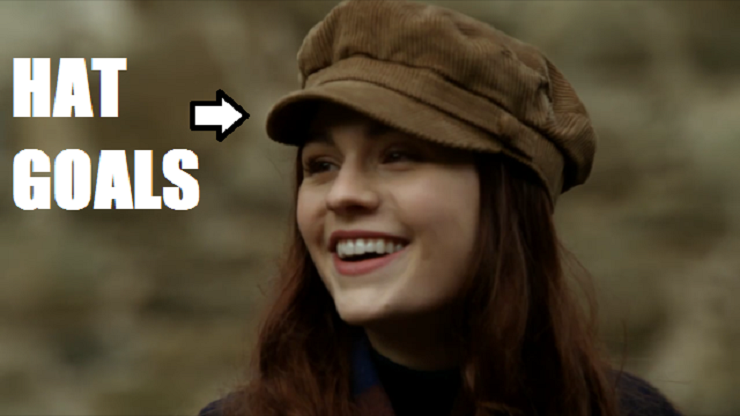 First, there’s Bree’s hat. 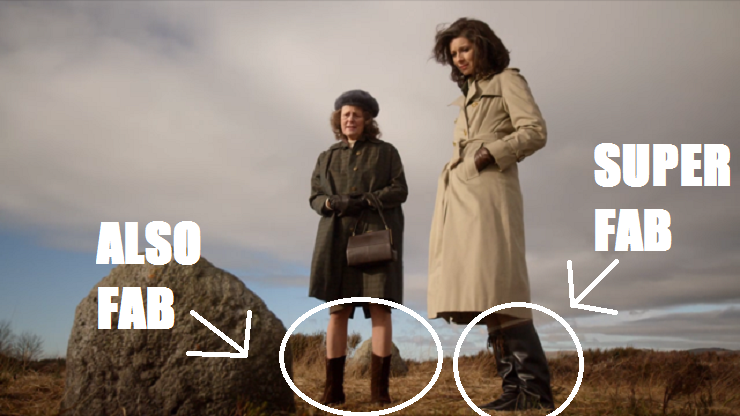 Why do boots not fall under ‘60s fashion? Because boots ALWAYS deserve a category of their own. 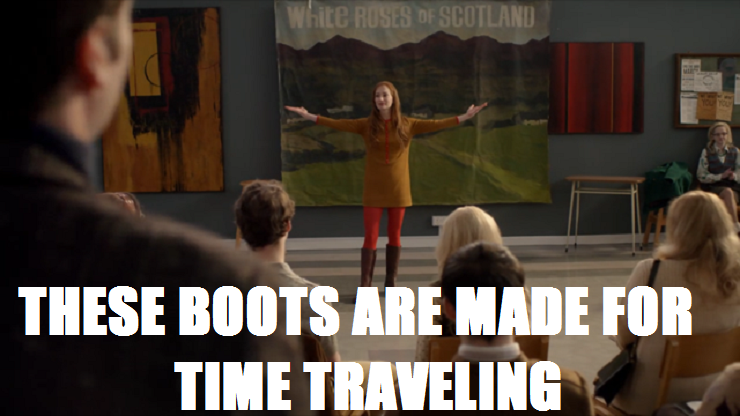 And there were so many great boots in this episode! I want them all. Even this lady’s. Because a rat satire should have its own line in the credits. Because it’s a rat satire. 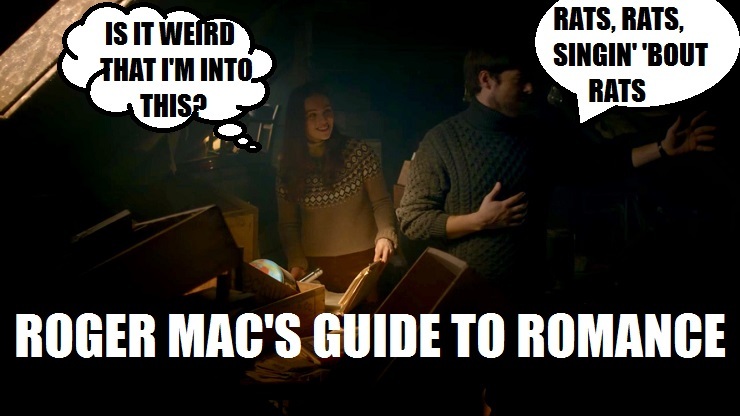 Also, I know Roger was singing in like a ha-ha funny way, but I’m crossin’ my fingers that it won’t be long before Roger Mac is crooning the sweet sounds of “Loch Lomand,” ye ken? I canna even talk about it. This says it all. 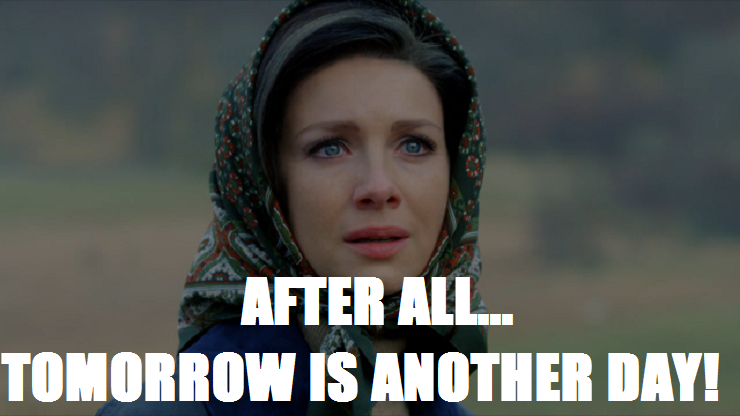 Comparing someone to Audrey Hepburn is literally the highest compliment I can ever pay them, and as I reached for my twelfth tissue of the night watching Claire visit the Clan Fraser grave at Culloden, I thought, “IN THE NAME OF CHARADE AND ALL THINGS HOLY, IT’S AUDREY!” Throughout the episode, I continued to get glimpses of Vivien Leigh and Elizabeth Taylor–not because Cait was mimicking them, but because she embodied the golden days of Hollywood. I’ve said it before and I’ll say it again–give her all the awards ever. Oh, yeah. 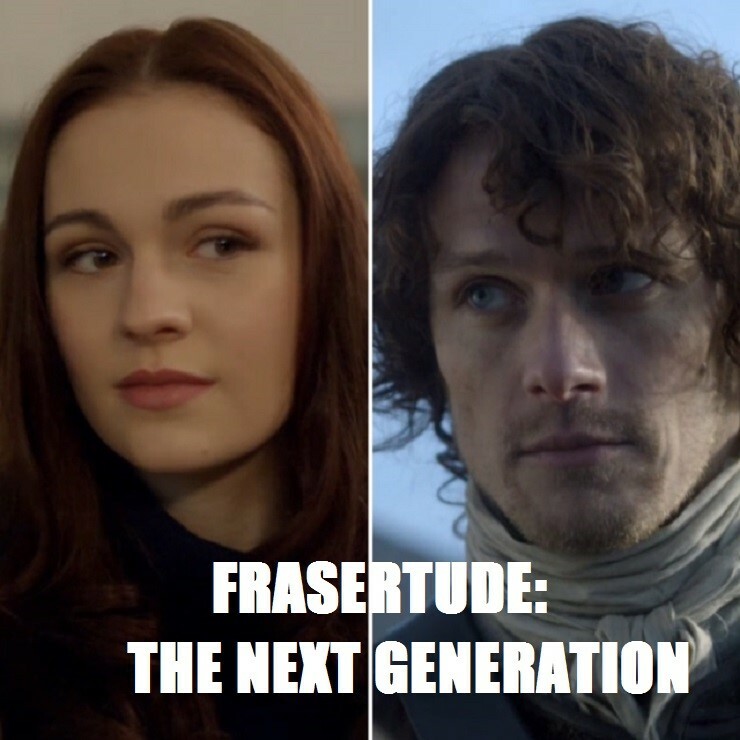 Sophie Skelton has mastered the all-knowing, often skeptical, always stubborn JAMMF look. 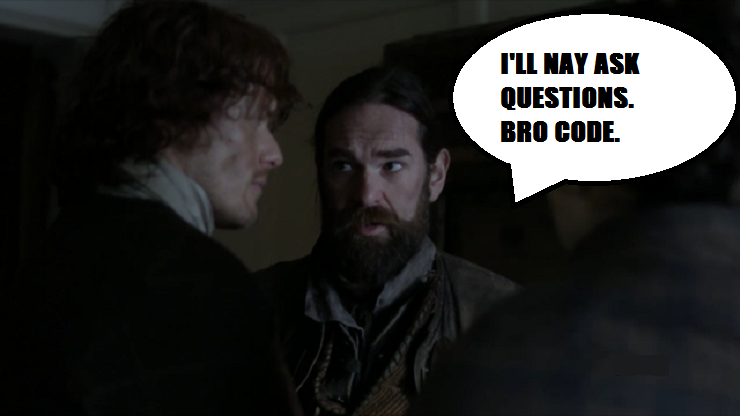 JAMMF, your hair is always looking mighty fine, even when you’re murderin’ your uncle. At least Dougal’s last sight is a pretty one. 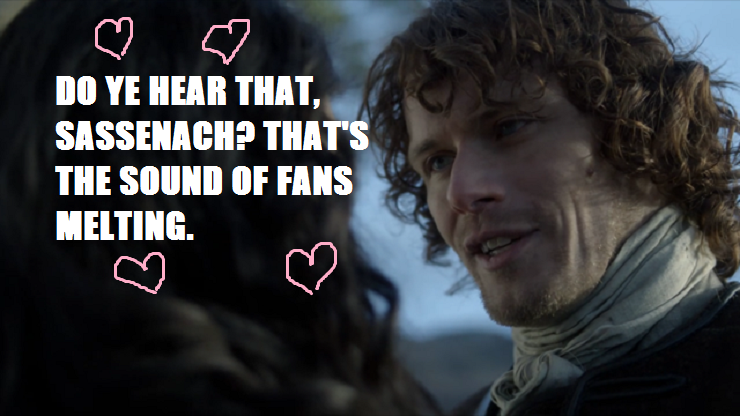 One of my favorite things that Jamie Fraser has ever said–”Lord, ye gave me a rare woman, and God I loved her well.” I fully understand that the page and the screen are two different mediums, but I’m not going to deny that I danced with joy when those famous lines made it into the show. 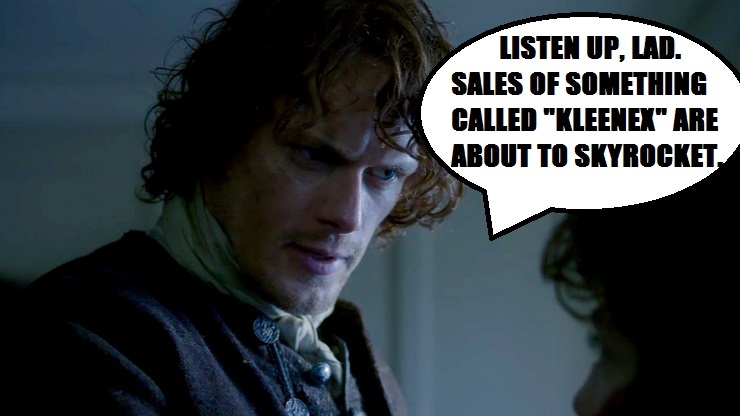 But, hey, all in the name of stopping Culloden! And also, maybe she was a little tired of his “mark me”s. 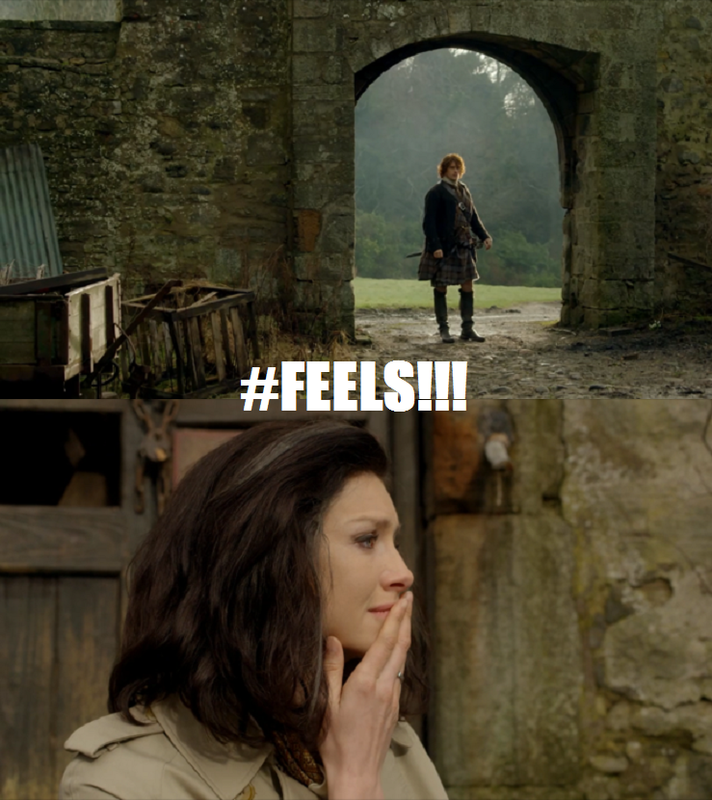 Of course you can’t leave him, Claire! 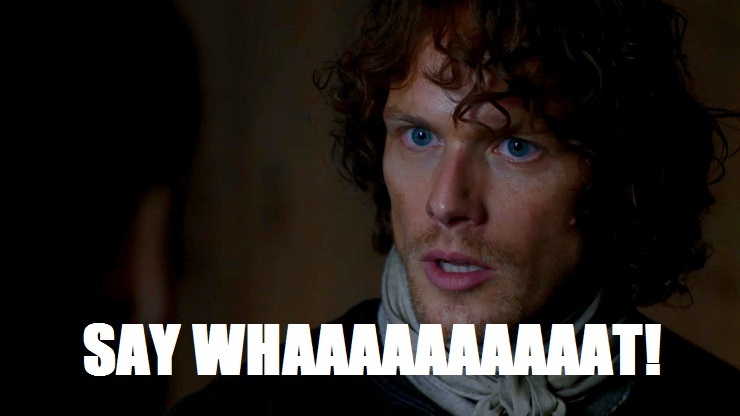 He’s James Alexander Malcom MacKenzie Fraser! 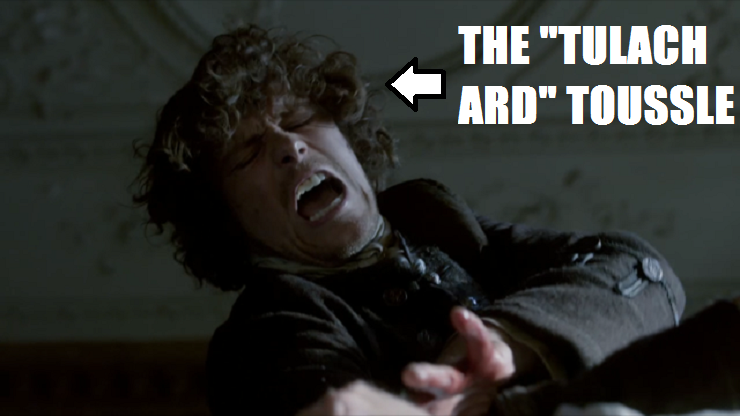 This show has made me shed a lot of tears over the course of its two seasons, but without fail when Jamie cries, I CRY. 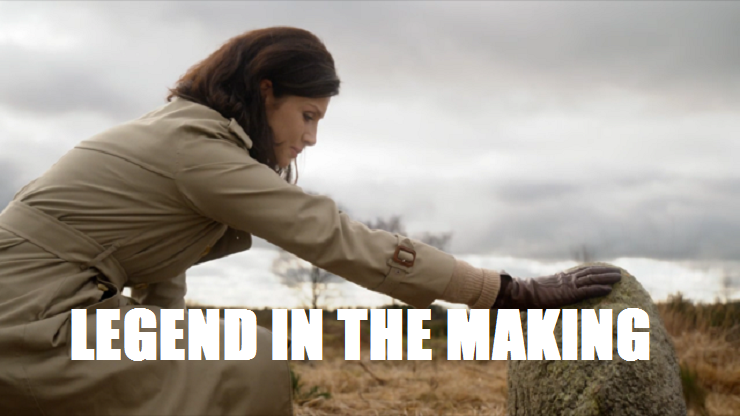 I canna even let myself think about the two of them saying goodbye at Craigh na Dun–except I kind of am thinking about it since I’ve watched it about 30 times now. 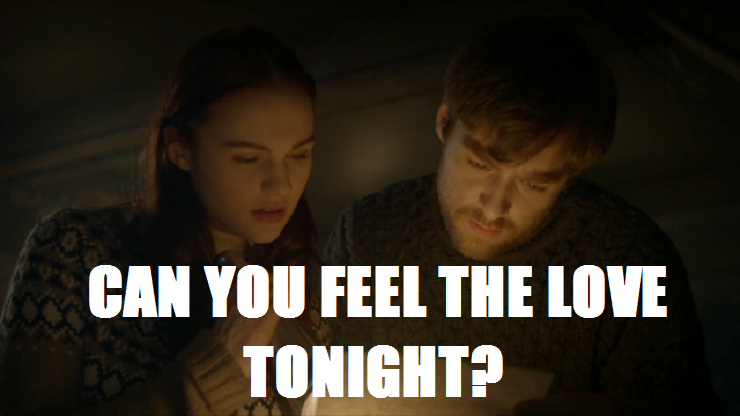 So, fellow Droughtlanders, what did you think of the finale? Did you have a favorite moment? A favorite boot? 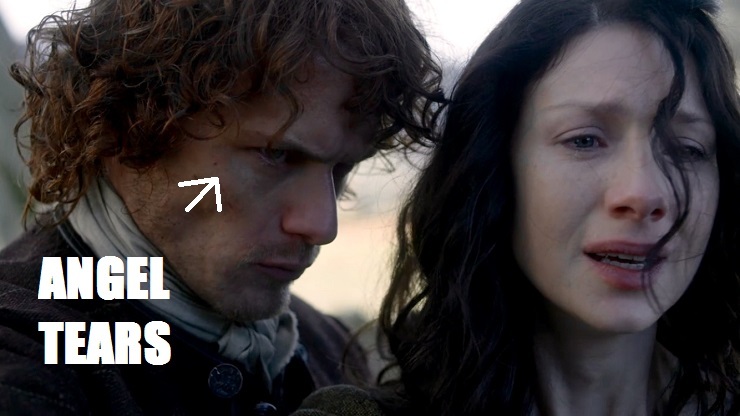 A favorite curl on Jamie’s head? Let’s get each other through the next however-many months by discussing it all ad nauseum. And by rewatching seasons one and two. Again. Great recap Stephanie. It’s witty, lighthearted (describing so many scenes that are NOT) and funny all at once. I enjoyed it very much. 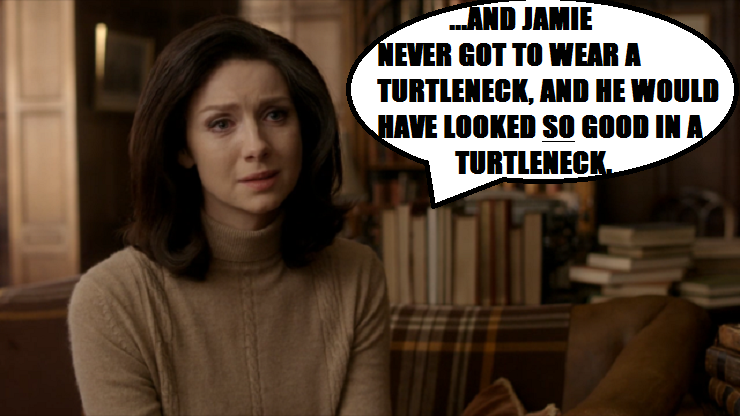 I believe other Outlander fanatics will enjoy it also! Haha I love the way you’ve broken this down. Very creative. Great recap. Have you ever thought about sharing your writing on Moviepilot/Creators? I’d love to introduce you to the platform. Feel free to shoot me an e-mail, my contact details are on my blog.